QLD Car Wreckers are paying the highest amount of Cash for Unregistered Cars Brisbane up to $8999 with free car removal service. Since Old vehicles are the most difficult to sell in Brisbane. also, Almost every person in Brisbane has their own car. So, finding someone to deal with secondhand cars is not so easy. To solve this complication of Brisbane’s people, our company Car Wreckers Brisbane has started dealing in cash for old cars. Our team of experts provides the most accurate and fair price. Not only the cars but our company deals in various other types of old vehicles like truck, Ute, van, SUV or 4×4. 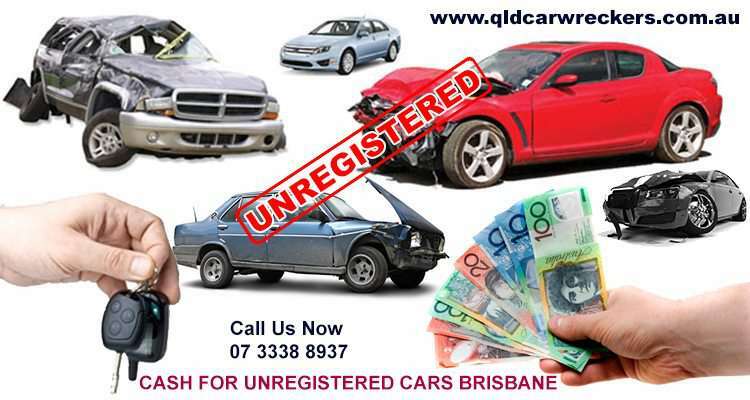 Just one call requires it all to get the best cash for unregistered cars in Brisbane Queensland. Almost one-third of the population in Brisbane has a used car which they want to sell for cash. Being the owner of such cars only gives you a problem and nothing more. So, it is essential that you get rid of it as soon as possible. Removing the car can give you back the free space of your garage and instant cash in your pocket. It is the best step to go for before a property upgrade. Our company can really help you with that. You can even earn some pretty good cash from us. The amount can go up to $8999 if your car is really worthy of it. Mostly, companies dealing in used car pay through cheque and accounts in Brisbane. But, our company QLDCarWreckers believes in instant dealing. As soon as the deal is finalized, you will get your full car amount instantly in cash. No need to wait for cheque clearance or account transfer. Finalize the deal with us and earn some good cash amount. There is no need for you to roam around the city for unregistered car dealers or unregistered car buyers. Our experts will be at your residential place to make the deal. Even the car will be removed from your garage or backyard by our professional tow trucks. No need to get involved in any kind of sweaty work when we are at your service. Our removal services are as good as our prices. we provide same day pick up service and free car removals without hidden fees. Our free removal service works as a life savior for people with heavy vehicles. It is not possible to drive the old and unregistered cars back to the workshop or junkyard. This is mostly because of their condition. So, companies charge for removal services which decrease the total earning of the unregistered vehicle owner. Such kind of issue does not occur with us. We promise to provide you with free car removal service irrespective of your location in Brisbane and model of the vehicle. So, you can now earn the full amount without any hidden charges. Mostly, companies dealing in unregistered or old cars in Brisbane deals in some specific models and makes of vehicles. But, such issues are not present in our company. Even if your car is not an Audi or BMW, you can still sell it to us. Some of the popular automobile models that our company deals in are Holden, Honda, Kia, Land Rover, Mitsubishi, Jaguar, Isuzu, Jeep, Chrysler, Renault, Skoda, Volkswagen, Ford, Citroen, Daewoo, Hummer, and many others. So, now you can relax and enjoy the smooth used car dealing service. For any queries related to our services or company, give us a call at 07 333 88937 or mail us at info@qldcarwreckers.com.au. Our experts are available from 8:30 AM to 5:30 PM. You can also obtain our free quote service by filling up the form on our website. For fast and smooth unregistered car selling experience, call us today!